Since Syndicode is the marketplace development agency we can tell a lot about ways you can create an online marketplace. If you decided that creating from scratch is not your option you can always choose an open system or one of the existing off-the-shelf solutions. In our article about self-hosted Sharetribe, you could read about its main advantages and problems. But of course, it has some alternatives worth considering. We suggest you take a look at Sharetribe alternatives in our material. Syndicode already mentioned some of them in previous articles, but it’s always nice to expand the list with newest options and compare them on-one-page. We will also add some pros and cons below each alternative. Near Me is a marketplace platform hosted with your secure domain name and is highly configurable – with full-access to HTML/CSS and key functionality from Marketplaces such as Airbnb, UpWork, Etsy & eBay – allowing everyone from Entrepreneurs to Large Brands to develop robust marketplace solutions. The platform charges a setup fee and monthly hosting fee with support but does not take a portion of transaction revenue. The setup fee depends on the client’s size, scope, and needs. Comparing to Sharetribe, Near Me offers advanced booking functionality. Near Me is at a higher price-point because of the different layers of software, as well as the more intricate design services. For most other cases, including a classifieds marketplace, rental marketplace, giving-things-away marketplace etc, try Sharetribe. Also, when it comes to pricing, Sharetribe can offer lower prices because of the more standardized design process. Comparing to Sharetribe, Marketplacer is less customizable but it provides more options for analytics including Google Analytics, Seller Performance, Advertisement Performance and Financial Reports. Additionally, Marketplacer offers customized solutions for monetization. With Sharetribe it’s still possible to move your marketplace to a new hosting provider and take full control of your project. If your Sharetribe-based marketplace takes off, you can always migrate your code from their SaaS and get more control over it. This is impossible with Marketplacer and Near Me. It can be integrated on any website or mobile application (e-commerce, media, new project, startup etc. ), regardless of the CMS used. This solution fits mid-size and large companies only. A high level of customization makes Mirakl highly scalable, allowing you to host thousands of individual vendors or just a handful. Low level of adoption. Because of the lack of a large user base, developers may find it hard to quickly and easy locate community answers to common problems with set up and customization. The easy interface or Arcadier means that even non-technical founders can get a marketplace up and run with a minimum of trouble. Arcadier’s ecosystem of partners — design studios, marketing and SEO agencies, PR firms, payment providers, and more — provides a support network for its marketplace owners and administrators. Additionally, this platform has multi-lingual capabilities and private marketplaces option. The current Arcadier offers are not flexible enough to scale smoothly as your marketplace grows. Cocorico considered as the most complete and flexible solution for creating service and rental marketplaces. A big modules and functionalities library that can’t be found in other services. Access to open source code. Cocorico has its own plugins library that allows startups to choose from modules created by other independent developers. Specialized in service marketplaces, Cocorico doesn’t yet offer a solution for the product retail side of marketplaces. Multi-Vendor is standalone eCommerce software that allows you to create an online marketplace. CS-Cart suits any kind of online market — from a big all-in-one shopping mall to a mix of a marketplace and a social network. CS-Cart offers ease to modify the store design. If you lack technical know-how, you can bank upon themes, templates, layouts, etc. A technically sound person can do so by changing the raw code with HTML and CSS. Additionally, it has rich documentation and video tutorials and provides 3 months of free premium technical support. Technical support goes expensive once credits run out. Smarty features can slow down the server. That was the complete list of the most famous and competitive Sharetribe alternatives to create your online marketplace. However, don’t forget that if you feel that you need something more custom you can always contact us about marketplace development from scratch with Ruby on Rails. Stay tuned and subscribe to our weekly newsletter! 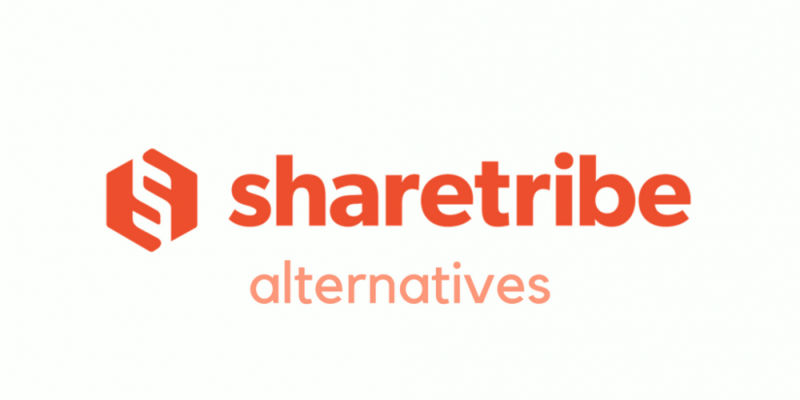 Read the updated version of the Sharetribe alternatives list for 2018!